So beautiful! I agree they are a jewel to the eye! wow they look very beautiful donna. i have yellow ones in the pond. But these are looking better. These are just gorgeous!! My Sweetie and I were talking this weekend, and I think we're going to be putting in some bulbs this fall and winter. I love them, and they seem to do well here - they're everywhere. Beautiful. Your Iris' and your photos are stunning. Lovely iris photos, I've got 3 different varieties blooming right now. Bold and delicate all at once. Only this iris can do that. You bless us all by sharing. 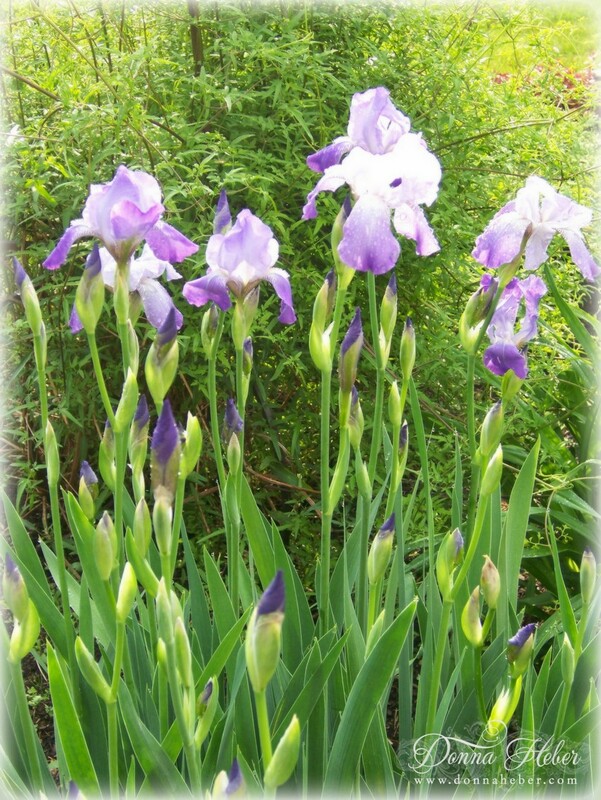 Beautiful looking irises! I love that mine came into bloom in the last week. I would love to find a good flower to pair them with to break up the solid purple flow that I have going right now. Irises are so beautiful! Thanks for commenting on my blog, and stopping by. I am always amazed at the detail of the iris. 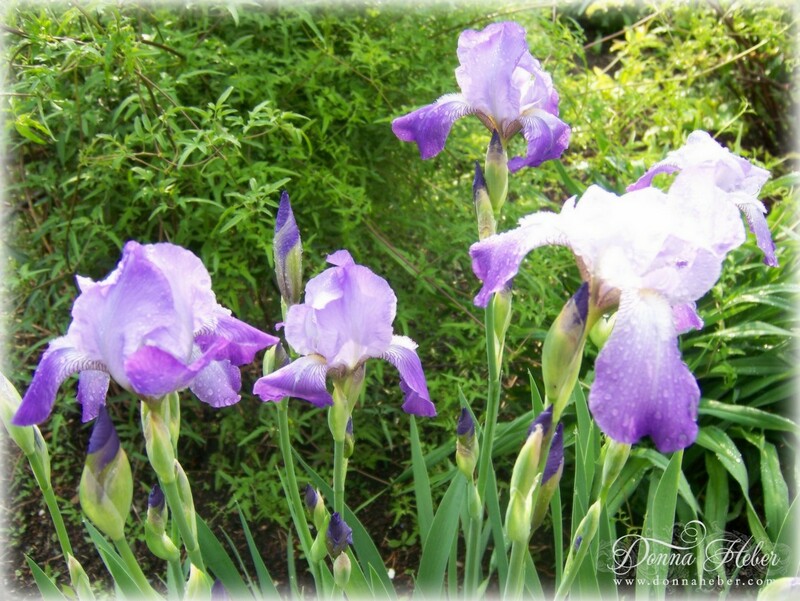 Gorgeous irises! Your photography is outstanding!! loved your iriss, i love the way they look as they start to bloom! 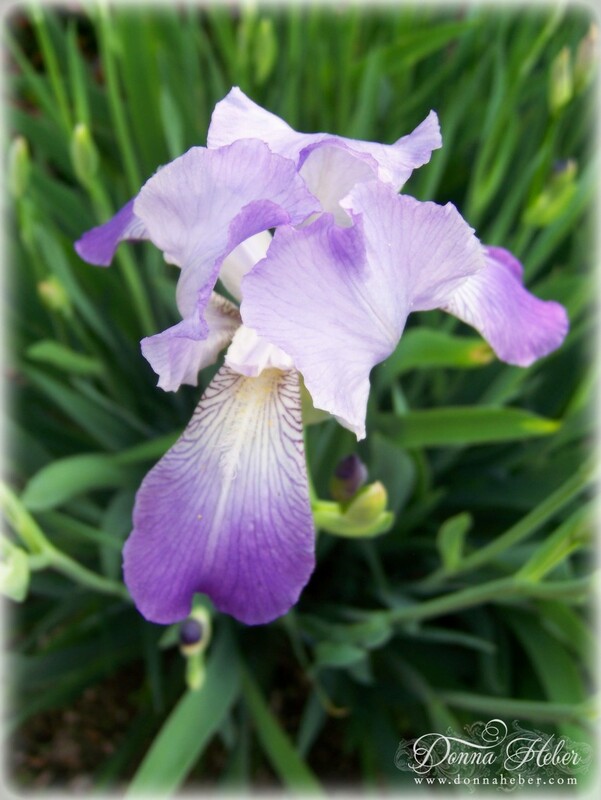 Wow--what gorgeous iris you have! I am enjoying some yellow and dark purple iris in my garden right now. looks like a water color painting. 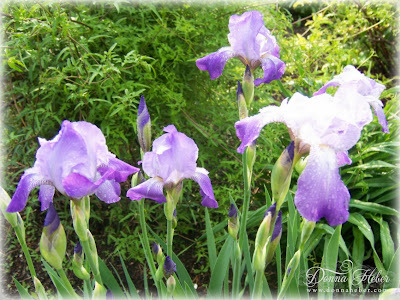 I have always loved iris, and these are beautifully photographed!! Gardens and flowers have a way of bringing people together. the long stems look so elegant. i love the color. I am a little late in visiting from last week due to work commitments, but I thank you heartily for your continuing support of Floral Friday Fotos!